For an eternity, man has used light. 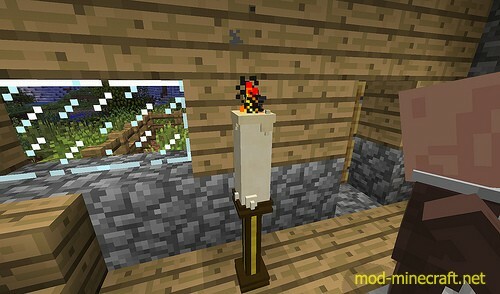 Starting as mere fire in caves, it has now progressed to more advanced methods of seeing in the dark and at night. Now, you have discovered a light source which, rather than costing fuel, runs off of wax and string. 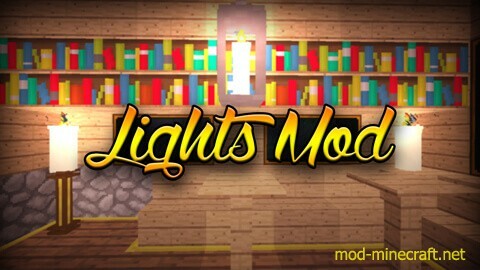 This mod, Lights!, revolves around new light sources and new ways to light up your base. 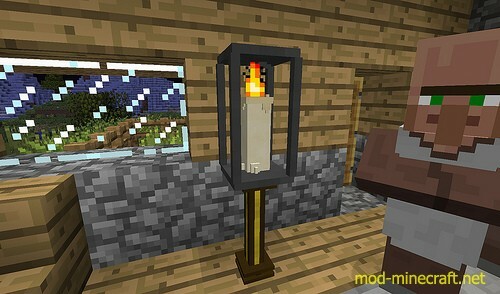 Say goodbye to un-realistic torches, goodbye to having your floor cluttered with glowstone, hello candles that react to their surroundings and lanterns that can hang from ceilings. A little hut showing the trimmed wood and hanging lantern.